Georgiana Cavendish, Duchess of Devonshire was an English socialite, political organizer, style icon, author, and activist. As the Duchess she drew much attention and fame in society during her lifetime and was famous for her charisma, political influence, beauty. 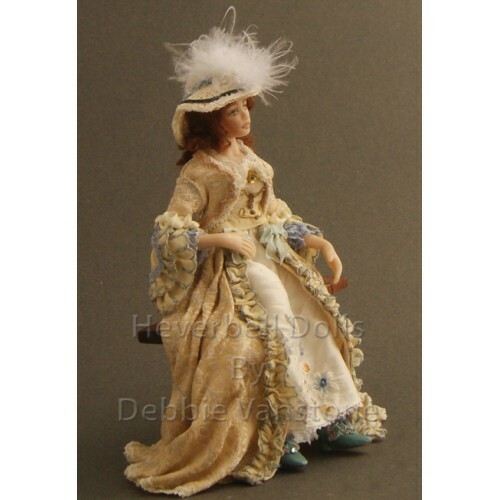 Here I have dressed the Duchess in a beautiful cream patterned damask – the top skirt and bodice sleeves are finished with matching embroidered silk trims, the white silk underskirt is embroidered with flower details and edged with lace. The shoes are handmade and very intricate as shown. 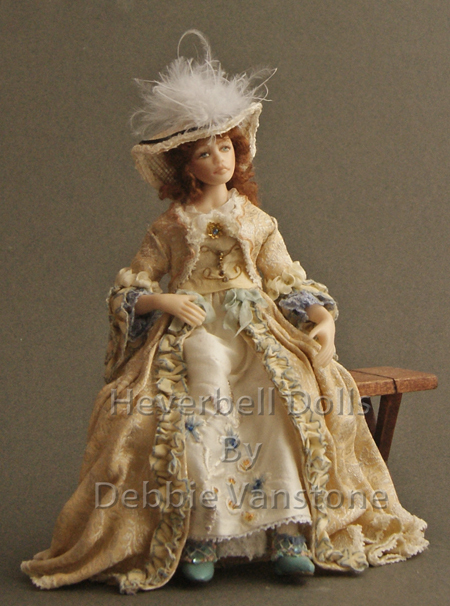 The dolls is made predominantly from porcelain with the lower body and tops of her arms being soft to aid gentle movement, also her head can be positioned. 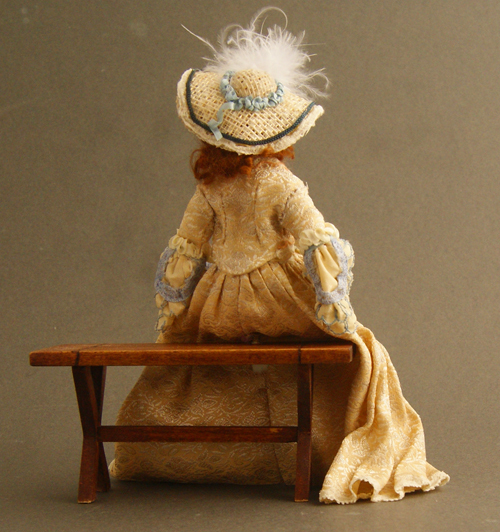 Georgiana has been designed to sit on the bench shown (which is included), there is a rod on the bench holding her in position, however, she can be removed if desired. If standing she would be approx. 5½″. Porcelain doll with a soft body - 1/12th scale (5½″ approx.) i.e. Dolls house size.